KYOTO - Japanese monkeys in central Japan appear to have less stress than usual when they bath in natural hot springs during winter to warm up, a study by a team of researchers showed Tuesday. According to the study conducted in 2014 by the team led by Rafaela Sayuri Takeshita from Primate Research Institute Kyoto University and released Tuesday in the electronic edition of primatology journal Primates, stress levels of the monkeys were about 20 percent lower on average after bathing. The research team observed 12 female monkeys at the Jigokudani Yaen-Koen monkey park in Nagano Prefecture and collected their dung to measure hormone called glucocorticoid to estimate their stress levels. Takeshita said because Japanese monkeys grow more aggressive during the mating season in winter and their stress levels should rise accordingly, the study results point to the benefit of hot spring bathing. 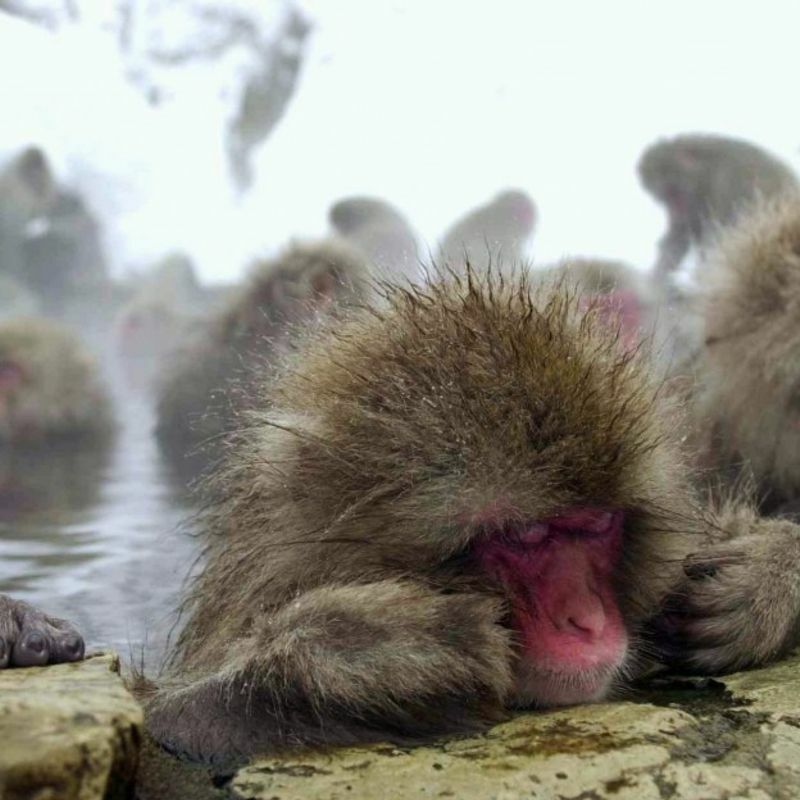 The sight of the Japanese macaques, more commonly referred to as "snow monkeys," bathing at the hot spring is popular among tourists including those from abroad.